A modern obituary system makes it easy for mature viewers to easily read, leave a condolence or make a charitable donation. 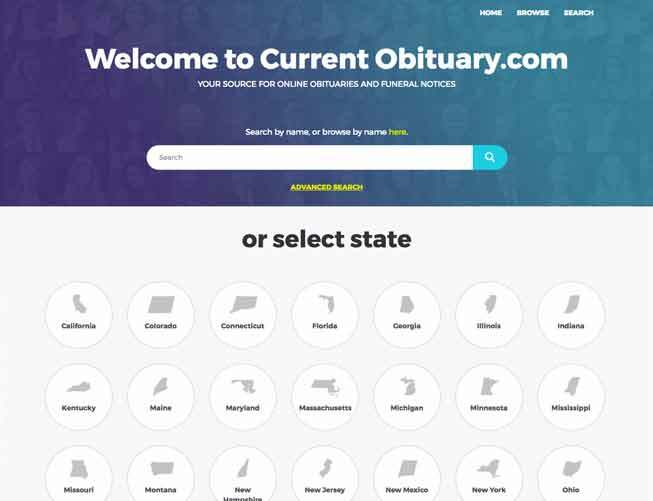 Obituaries featured on each site are also featured on CurrentObituary.Com as a public service to increase find-ability and drive traffic to your obituaries and website. By grouping the obituaries by city and state we are able to achieve a critical mass of traffic, which lures search engine traffic and higher visability. 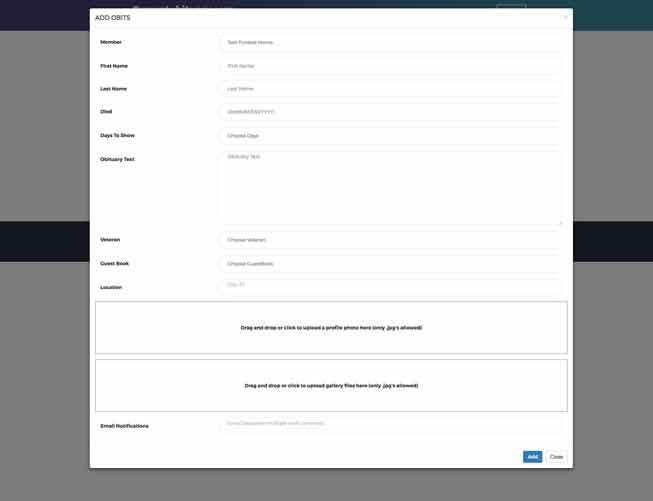 Obituaries are easily entered onto your site by filling out a simple form. Just copy and paste obituary text onto the form. The main photos is added by simply browsing and selecting it from your computer. There is an optional area to select photos for an additional photo gallery. The obituaries are set to show on your obituary page for a number of days set by you. When the "days to show" period has passed your obituaries will drop into a searchable archive for future reference. When a condolence is sent, an email notification is received. You then log-in to the obituary interface, click "Moderate", where you can approve the message to attach it to the obituary. Websites are custom built one at a time! Site layout, features and content are constructed to your specifications. We can create a look and feel that reflects the strong points of your business. Our goal is making communication between you and your public a pleasant experience, as it would be in person. If you are satisfied with your present site and just need a mobile presence, we have a solution! Bulletproof modern obituary system makes it easy for all users to navigate and disseminate funeral service details. All the service information is in one place with guest book, photo gallery, directions, social sharing and charitable donations. Your obituaries will quickly be found in web searches!